It is remarkable to comprehend that natural Baltic Amber has been at the heart and history of human culture since time began. Decorative ornaments made of Amber - which date back over 13,000 years - have been discovered in the excavations of ancient tombs in Northern Europe, confirming Amber as one of the oldest natural substances used for such a purpose - even more remarkable! Suffice to say, it’s daunting to consider anything being 320 million years old! Yet, the most ancient Amber has been identified with that very time frame associated with the Upper Carboniferous period. 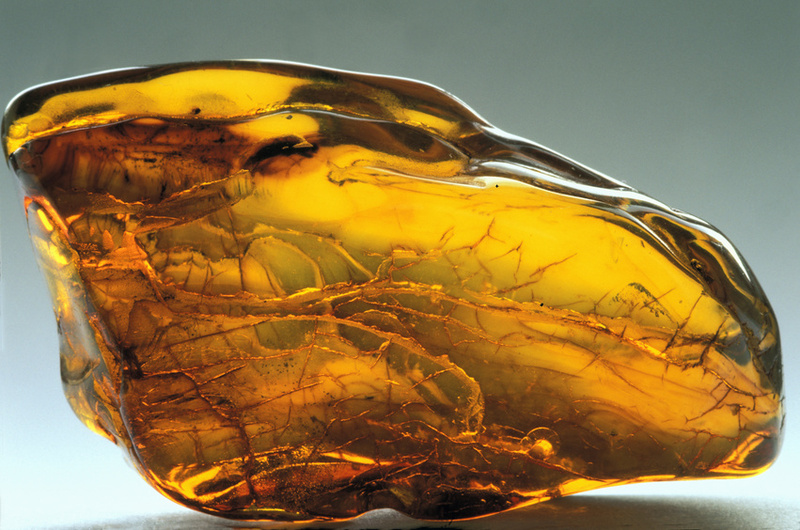 Discovery further indicates that this strain of Amber was resin formed by flowering plants that were similar in nature to the Jurassic period roughly 180 million years ago. Science also tells us that 150 million years ago, during the Early Cretaceous period, Amber production increased and the curious specimens of Amber began to contain even more curious specimens of their own – inclusions of insects and plants! We also learned that those “inclusions” in ancient Amber were first discovered in the Middle East – Jordan and Lebanon, and proved to be 133 million years old. While Amber’s beginnings were humble – they became incredibly far reaching as the single identifier of the life of nature on earth at that time. When you consider the art and architecture of Roman and Greek cultures, it is not surprising to find Amber at the heart of their craft, particularly in jewelry. They were known for bold flourishes with very ornate and iconic pieces dominating the landscape of any design and Amber served that purpose well. The Greek philosopher, Theophrastus, gives us written reference to amber in the 4th Century BC. His term for Amber is “electron” which refers to the Sun God, “Elector.” We find similar notations in the work of the Roman philosopher Pliny the Elder, who went on to not only document the insect inclusions found in Amber but to also accurately assume that Amber’s original composition had to be in liquid form in order to entrap the insect bodies. The tree has significant meaning in Asian Culture. Each one is believed to be a bridge between Heaven and Earth and being both physical and spiritual by nature with roots buried deep into the earth even as branches and their leaves lift toward the sky. Tree sap is considered the lifeblood of the tree and as such, both the source and transmitter of its energy. So it comes as no surprise that Amber, which has its origin in Tree Resin, is highly revered as enabling the physical body to have spiritual energy while enabling others who wish to feel more “grounded” to experience connection to the physical world. Travelers have been documented in ancient times as using Baltic Amber as a protective stone to guard them on their journeys. They believed Amber to bring good luck to its wearer and special markings such as one’s own initials, were exceptionally potent. Further enlightenment depicts Amber has having positive effects on making decisions, on memory and strength, and on turning negative energy into positive energy thereby creating balance to aggressiveness. Because this power within amber is so significant, it is further believed that the hours of wearing amber should be limited to certain periods throughout the day. From very early times, we note that physicians were very familiar with the many “healthful” attributes of Amber. It was used to treat heart ailments, teething pain in children, and general maladies such as arthritis. If we fast forward to modern health practitioners, we see the same pattern of homeopathic treatments extending to the full functionality of the human body: bladder and spleen; detoxification and protection from radiation; headaches, rheumatic pains, bronchial problems and inflammation of the lungs and throat; kidney and liver functions; eye and teeth disorders. The list goes on and on. So whether Amber is used to relieve the symptoms of the common cold, or to help balance the endocrine and digestive system, or to emit calming and relaxing energy when placed in bathwater, it is most definitely at the forefront of top homeopathic regimens. If you “digest” all this and really give it some thought, you could accurately say that the wonders of Baltic Amber are both timeless and infinite.